The last day of DreamHack Dallas Masters 2019 - Chinese Qualifier came to an end today with Tyloo making it all the way through and qualifying for the Main Event which will be held from 28th May-2nd June. The Lower Bracker Finals scheduled to take place between Panda and 5Power failed to take place due to 5Power forfeiting the match-up. The reason behind them forfeiting the match was due to a conflict in schedule. Panda went ahead to take on Tyloo but could not achieve their revenge as Tyloo took a clean ‘2-0’ victory to qualify for the Main Event. 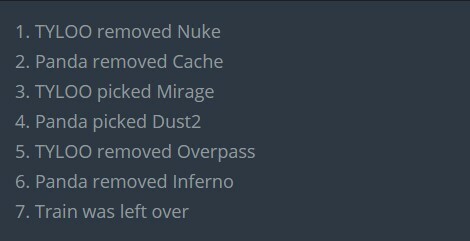 Tyloo won on Mirage which was their own pick quite comfortably and from their went on to play the second match on Dust 2. 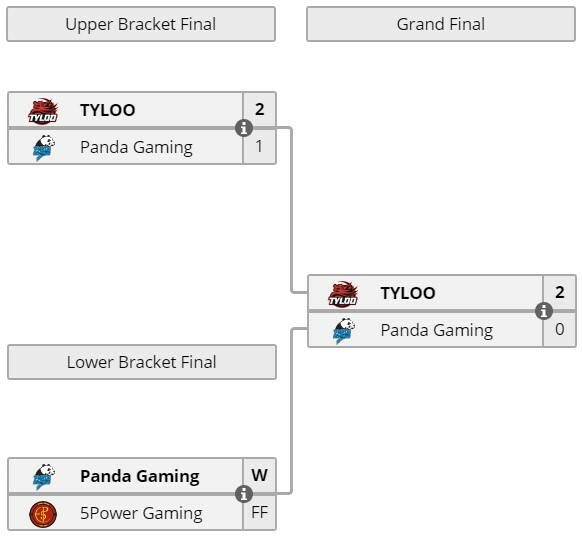 Last time Panda had managed to topple Tyloo on the same map in overtime but this around Tyloo was better prepared. While Tyloo were down ‘6-9’ at the halftime mark they were able to find success in the latter half to make a comeback and take the match away from Panda. The map picks and bans were exactly the same in both their tussles and somehow Tyloo had successfully managed to avoid the conflict on Train. Summer seems to be in top form for Tyloo consistently performing well and leading the charge for them, The other four have also been playing well but always seem to perform in pairs with BnTeT and xccurate being the better half of the two. With this Tyloo has secured a place for themselves at the DreamHack Masters Dallas 2019. This was a much-needed victory for the team who failed to qualify for IEM Sydney 2019 earlier before. Let’s see how the team performs against the big boys of the circuit at the Main Event, stay tuned.